Yesterday at 7 in the evening hubby and I went to SM mall to buy fruit juicer. Fruit juicer helps to our health to become healthy and for diet purposes. We also bought Kyowa Juice Extractor with model no. KW-4203. 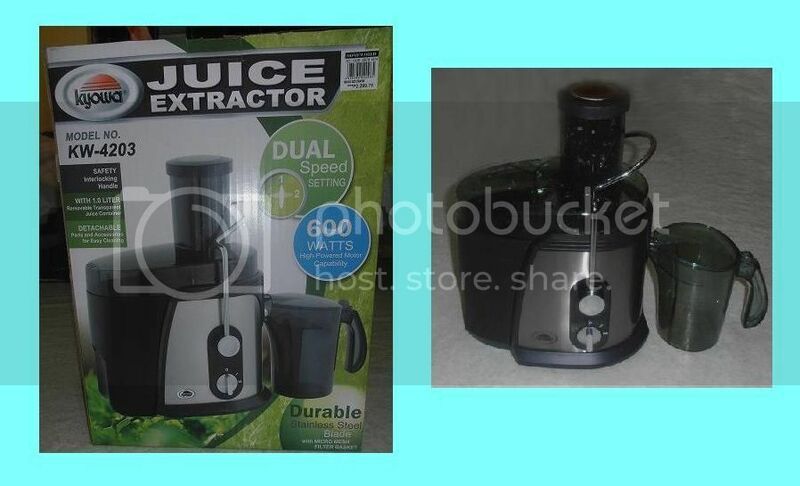 The juicer is cost of 2,299.75. They have many choices but I choose the color black. Because I like the design, style and the color are perfect to my new kitchen cabinet. 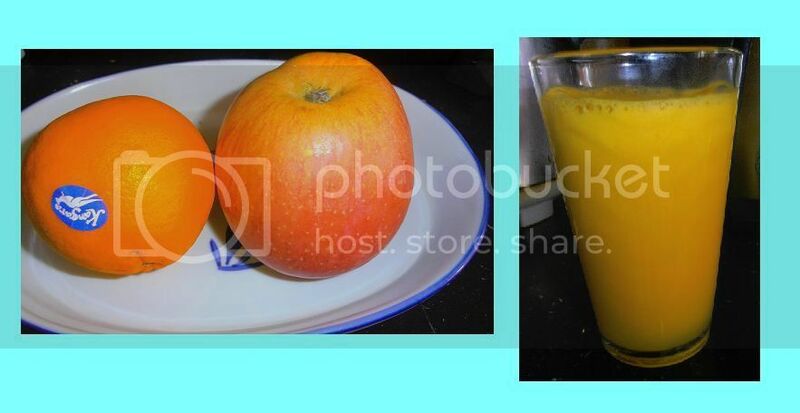 At home, we try to make fresh fruit juice; we prepared one piece of orange fruit and one piece of apple fruit. And then we have produced one glass of fresh fruit juice. Anyhow, healthy fruit juices are a nutrient-dense beverage choice and a smart addition to well-balanced diet. A rich source of vitamins and minerals like potassium, vitamin C and foliate, it is also a convenient way for us to help reach the suggested number of daily servings of fruits. Healthy fruit juices are not only nutritious but also natural, whole, pure and fresh. Higher in its nutritional value, fruit juices give life to our body. Benefits of fresh fruit juice. Fruit juices help in digesting food because of our bad diet habits and the era of fast food, our bodies have become weak in absorbing the nutrients we need. Fruit juices are readily digested and assimilated by our body. Fruit juices help in getting the best possible level of nutrients. It helps to reach the required level of nutrients to our body. Fruit juices are easy to digest. Solid foods may take hours of digestion before any nutrient is available for the body cells. Fruit juices get easily absorbed by our body within 20 minutes of consumption and with less effort on the part of the digestive system. Hence, drinking healthy fruit juices is a must! Fruit juices are cleansing. Fruit juices are good cleansers of our blood and blood is life for our body. Keep your blood clean and loaded with nutrients by taking in fresh healthy fruit juices. 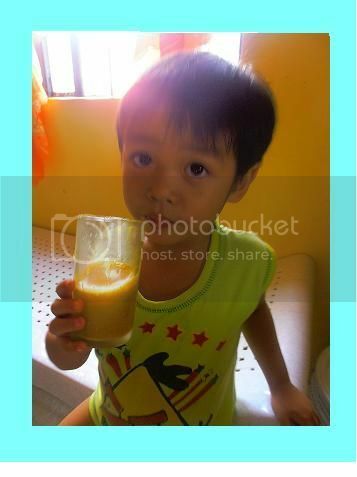 Vince while drinking fresh fruit juice.